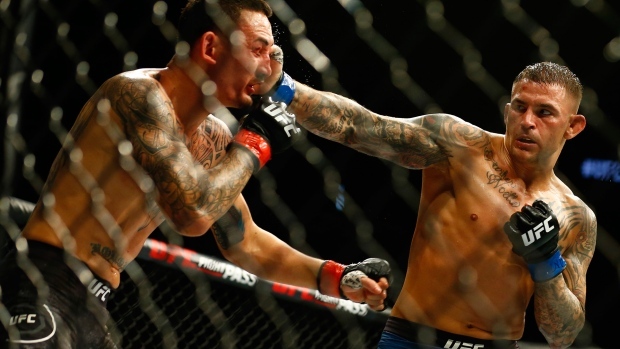 ATLANTA - Dustin Poirier bloodied Max Holloway and won a unanimous decision for the UFC interim lightweight title on Saturday night, denying Holloway his chance to become only the fourth fighter to hold two belts at the same time. “Right now I'm the champ,” Poirier said, adding he hoped Nurmagomedov could return for a unifying fight that would remove the interim tag on his title. “We've got a belt to fight for,” Poirier said.